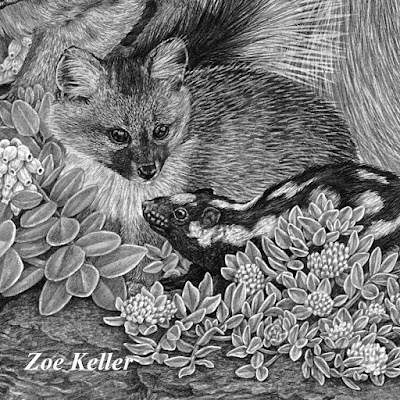 No species stands alone and artist Zoe Keller has created a masterful piece of art that weaves together the island fox’s conservation story with the natural history of Santa Cruz Island. 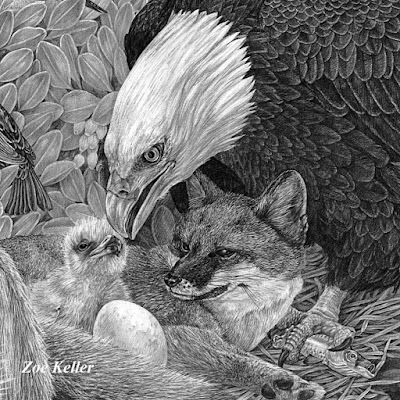 Keller’s vivid graphite drawing depicts the interconnected world of island foxes, bald eagles, California sea lions, island spotted skunks, numerous birds, plants, insects and humans on the Channel Islands. The images seen here are small glimpses of a large work that Keller has made interactive with natural history information. 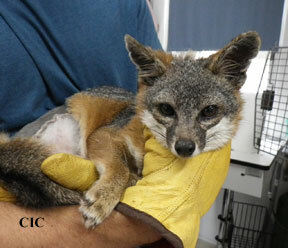 Friends of the Island Fox receives no financial benefit nor provides any support to Zoe Keller. 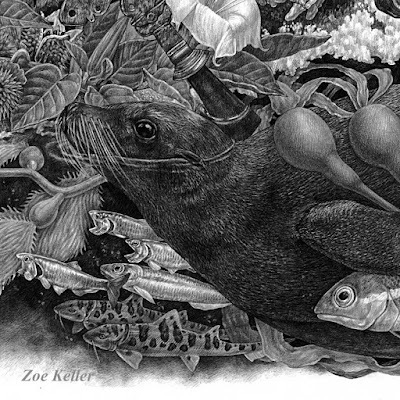 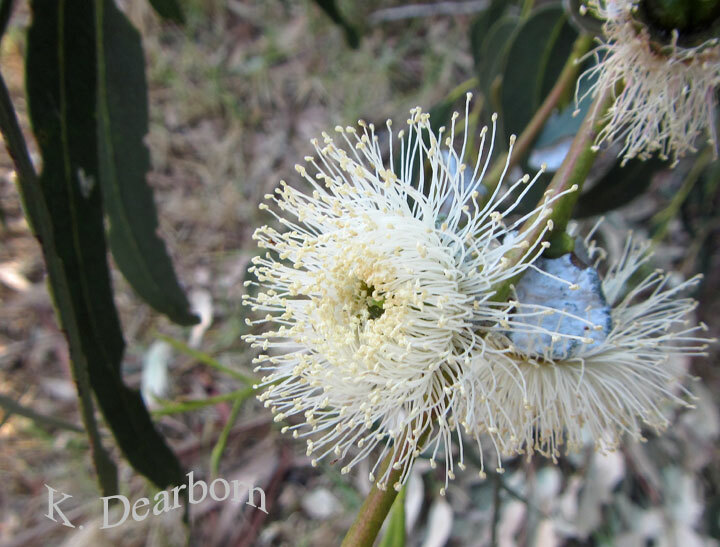 This link to her work is made as a public benefit and exchange of educational material. Island foxes love their native fruit! 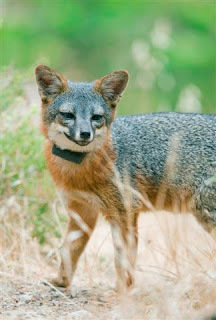 Across the Channel Islands native fruit sometimes makes up over 50% of the island fox's diet. 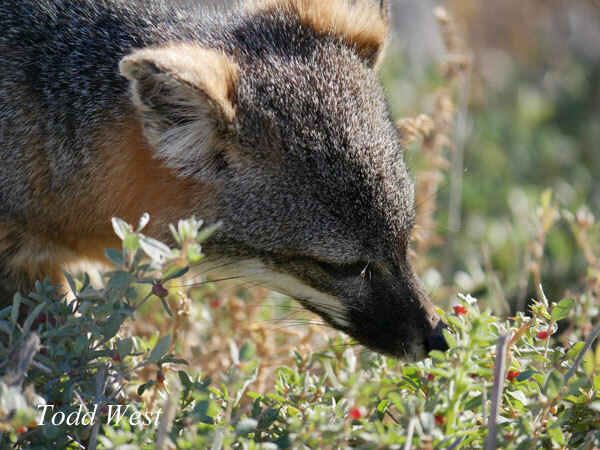 Researcher Todd West observed this island fox eating island redberry. 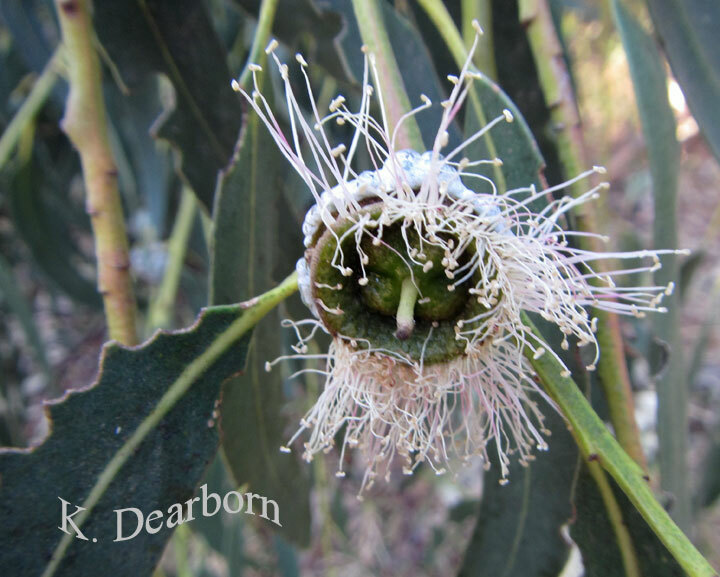 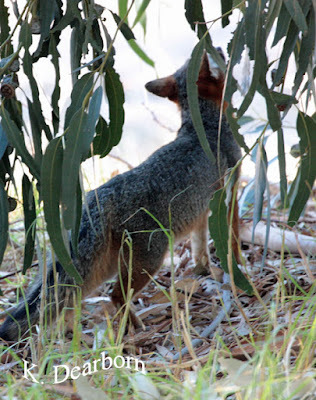 From toyon and lemonade berry, to Catalina Island cherry and prickly pear cactus, if the native fruit is red, island foxes eat it. 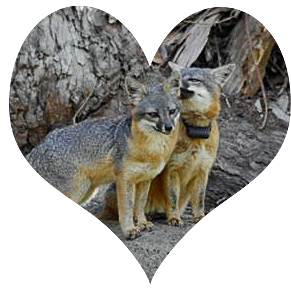 Thank you, Todd, for sharing your photo with Friends of the Island Fox. More of Todd's photos. 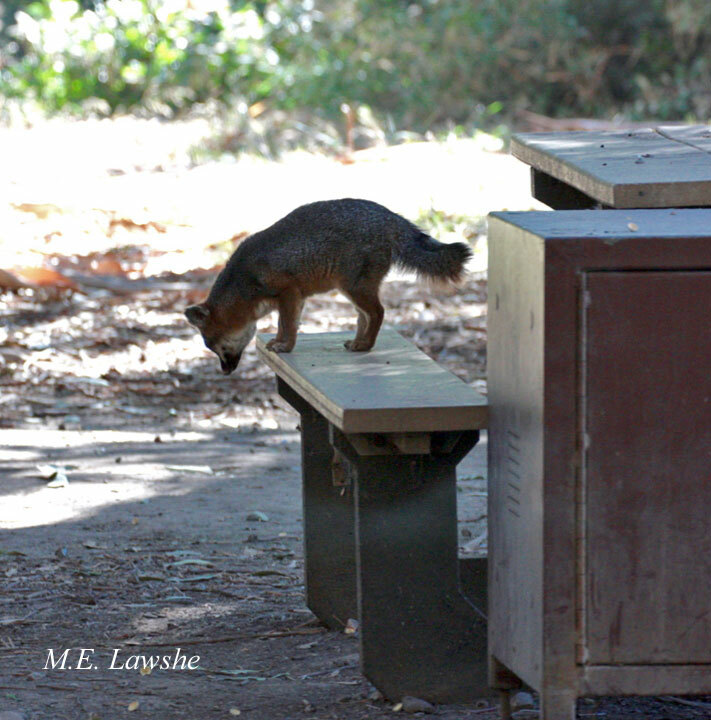 More island foxes eating. How can you help island foxes?